In the 13 years since I curated a season of Chinese animation at the Udine Film Festival (the programme is reprinted in Schoolgirl Milky Crisis), I still occasionally get asked about it. Producers, who fret that the Japanese mother lode has been mined out, want to know if I am sitting on some secret stash of new, exciting things, particularly if they turn out to be cheap. Is there a big New Wave of Chinese material, poised to crash on our shores? Are those thousands of animators graduating each year from Chinese colleges making anything more than Flash logos and gaming sprites? 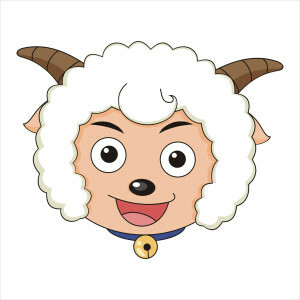 Is there, as even the Chinese ask themselves, a putative “next Miyazaki” somewhere in Shanghai or Jilin, just about to take the world by storm? Chinese Animation: A History and Filmography 1922-2012 is Rolf Giesen’s attempt to shove everything he knows about Chinese animation between two covers, and as of this moment, it’s the best source you’ve got if you can’t read Chinese. 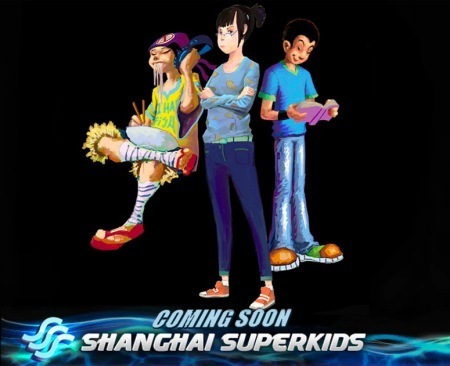 It’s a bit of a shambles, but, frankly, so is Chinese animation. Giesen reveals that the Chinese broadcaster CCTV is only prepared to pay a pound a minute for animation that costs £1500 a minute to produce – a shocking statistic which does much to prepare the newcomer for the state of the art. No wonder the Chinese continue to labour as subalterns on other countries’ cartoons, in-betweening for the Americans and colouring in for the Japanese, when their own countrymen offer such paltry support. Giesen’s book comes alive when he draws directly on his personal experience. He has taught at a Chinese university, where he has been a fly on the wall at numerous conferences and seminars. As in so many other sectors of Chinese industry, he sees a management of technocrats and engineers, high-level graduates in hard sciences and economics, struggling to understand how “creativity” works. Giesen sees them buttonholing foreign animators and asking with heart-rending innocence: where do their ideas come from? The first part of Giesen’s book presents a short narrative history of Chinese animation, complete with bitty gazetteers of each decade. Leaning heavily on David Ehrlich and Jin Tianyi’s China chapter in Animation in Asia and the Pacific, he details the early innovations of the Wan brothers, leading to their debut feature Princess Iron Fan, and the ferment of the 1940s in which Japanese animator Tadahito Mochinaga was instrumental in the foundation of the Shanghai Animation Film Studio. Giesen’s bibliography includes Mochinaga’s posthumously-published Japanese-language memoir, even though his text ignores it, drawing instead upon an article in Animation World that anyone can see free-of-charge by clicking this link. All of which leads me to ask: what kind of reader does Giesen expect? 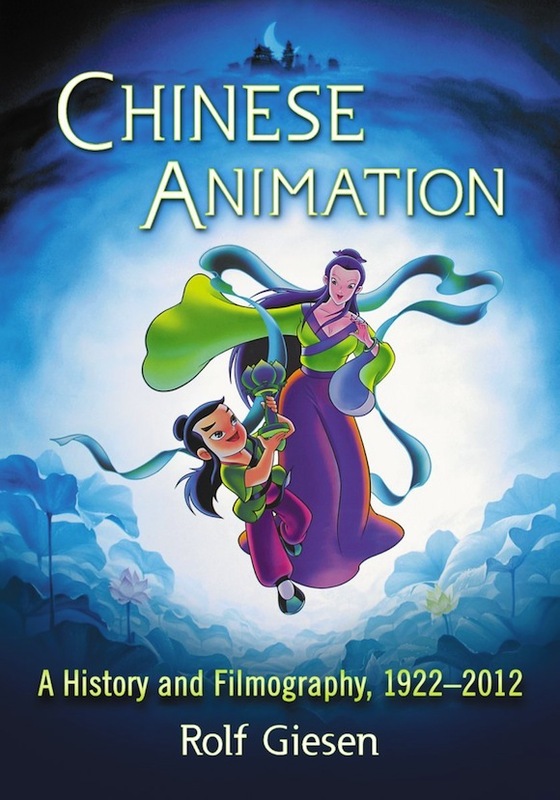 A willingness to fork out £43.50 for this book surely requires a customer who is deeply invested in the Chinese animation field, presumably to the extent of already having access to much of this material? He begins as he means to go on, with an introduction that reads like a sump of research materials, pasting in long paragraphs that stretch quotation to its fair-use limits. Sometimes, this is handy in itself, providing ready access to articles relevant to any researcher in Chinese animation; sometimes it feels like uncritical parroting, such as where he repeats Wen Jiabao’s comments on Chinese animation versus Ultraman, which, as noted elsewhere, isn’t even a cartoon. By the mid-20th-century, Giesen’s coverage becomes more robust, probably because the Shanghai Animation Film Studio is much better at chronicling its own artistic heritage, releasing several books and catalogues that effectively encompass all the animation produced in the People’s Republic in that period. It also helps that the Cultural Revolution severely limited output, allowing Giesen to devote more space to fewer films. Landmark features like Havoc in Heaven get their due, along with artsy shorts from the likes of Te Wei, accessible on many a compilation DVD. By the time his story reaches the 1990s, the Shanghai Animation Film Studio’s monopoly was broken, leading to fiercer competition in the marketplace. The studio itself became more of a legacy outfit, providing some valuable comedy to Giesen’s story with its lawsuit against Apple in 2013, accusing the American corporation of stealing 110 of its cartoons and selling them on iTunes – just in case you thought all the copyright disputes were one-way! Giesen has data that points to the growing Chinese antipathy towards Japanese products, not because of their “corrupting” influence, but because a survey in 2004 discovered that six of the top-ten cartoons on Chinese TV came from Japan. “Chinese” animation, to Giesen, means animation made or released in the People’s Republic. This has caused him to largely overlook the huge amount of work undertaken by Chinese animators “below the line” on overseas productions – everything from Ghost in the Shell to a number of the recent anime serials that have just been banned in China itself, to the forthcoming Kung Fu Panda 3, itself “made in China” partly as a reach-around to evade import quotas. Wu Sau-yee’s Old Master Q and Andy Seto’s Cyber Weapon Z have slots in the filmography, but there is no discussion of the hybridity of contacts and skills brought about by the return of Hong Kong in 1997, nor does Giesen display much interest in the animators of Taiwan or Singapore. This is unfortunate, as he makes a case in his introduction for animation as a globalised industry, yet seems to forget that Chinese is spoken in more than one country. A chapter on the likes of Wang Shaudi’s Grandma & Her Ghosts and, say, the activities of James Wang’s Taipei-based Cuckoo’s Nest (a.k.a. Wang Films) would have helped him avoid accusations of, quite literally, following the Party line, and allowed him to approach the immense below-the-line contribution of Chinese animators to literally scores of “American” cartoons. A few Hong Kong movies like My Life as McDull do get their own entries, but Giesen opens a massive can of worms by also including Stephen Chow’s Kung Fu Hustle. 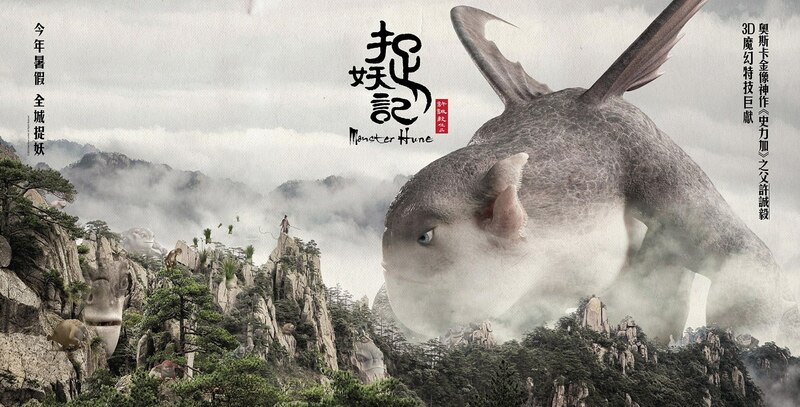 I applaud his decision to include live-action special effects as a sub-set of “animation”, but nothing more is said about this, when such an idea really warrants a chapter in itself – particularly considering the recent release of Monster Hunt (pictured at the top of this article), in which Chinese animation is put to genuinely good use in the service of special effects. The greater part of the book is taken up with a filmography of modern TV shows and movies – in many cases, this appears to be the first time that some of these have been mentioned in the English language. Quality of information here is often fascinating but also patchy. 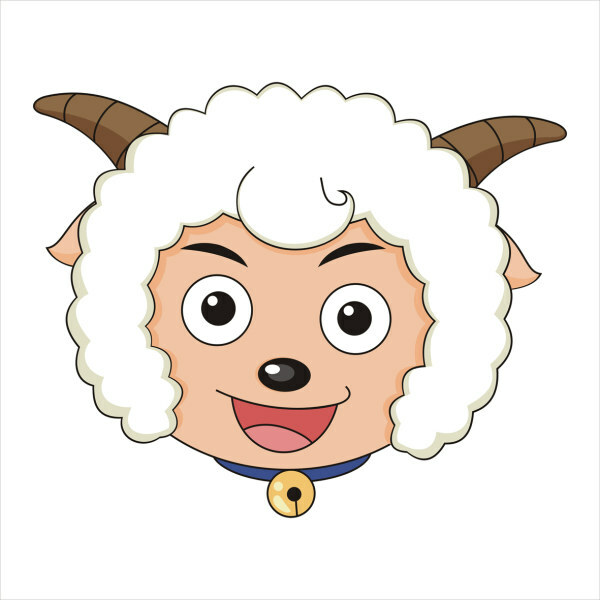 There’s a lengthy plot synopsis of Blue Cat, but barely a couple of pages on its long-running rival Pleasant Goat (pictured) which is still ubiquitous in China, and ongoing after ten years. In some cases, press releases and box blurbs are tipped in without comment; in most cases, Chinese titles are omitted. In others, there is barely a single line description. There are notes on animation used in advertising or cell phones, and on the bottom line in online gaming – you “only” need a million players for your advertising micropayments to put you into the black, which, in China, is not such a tall order. Giesen outlines a future for Chinese animation in which cartoons are merely the delivery system, but merchandise is the commodity – a variant of the model long in use in the Japanese market, and set to make certain Chinese investors a pretty penny. Here, he also deals momentarily with the dangers presented to such a model by counterfeit goods, a rare place in the book where he begins to grapple with informal distribution of animation. Giesen clearly has a wide-ranging acquaintance with Chinese animation, and access to a firm basis of materials and contacts. His plodding, year-by-year narrative approach occasionally throws some interesting things into relief, such as the reactive nature of many Chinese studios, and a recurring tradition of releasing films whose animal stars match any given year’s ruling Chinese zodiacal creature: prepare for a rush of Monkeys in 2016 and Roosters in 2017. It’s interesting to see a chapter on Education in Animation, albeit as with the rest of the book, divided jarringly between uncritical info-dumps and flashes of insight. These include the words of Barry Plews, an Australian animator, on the problem of China’s “animation dragon”, growing ever larger, despite the ever-decreasing size of its creative head. Here, Giesen pours in his own teaching notes, outlining his attempts to get the Chinese thinking about selling cartoons to a global audience, resulting in the Shanghai Superkids – as with other attempts to think industrially, the adventure is in the journey, not the destination. Like Chinese animation itself, the book has immense potential coiled within it, but has all the rigour and finesse of an out-of-control clown car. The mystery, for me, is why a competent editor didn’t throw this manuscript back at Giesen as a first draft that needed to more rigorously organised. Perhaps the fault lies with McFarland & Co., a publisher that aspires to academic pricing without apparently enforcing academic standards. Where was the peer-reviewer who could bring up the concerns outlined here before Giesen published? Where was the lawyer who would query just how much from certain articles he planned to simply cut and paste? Where was the picture researcher who could point out that Hokusai’s Great Wave Off Kanagawa is most definitely not a still from Nezha Conquers the Dragon King? Where was the sub-editor who could ask for the gaps in the filmography to be filled in? Did it not occur to Giesen, at some point in the process, to ask one of the dozens of Chinese colleagues thanked in his acknowledgements to see if a director’s name or a plot detail could be improved with online information? McFarland’s publishing record is notoriously scattershot. Some of the time, it releases ground-breaking works on new subjects that academia snootily disregards; in such cases, beggars can’t be choosers. Sometimes, it seems to be a last resort for writers who couldn’t get arrested elsewhere, turned away from other publishers for unsellable topics, poor standards or unreadable prose. This wouldn’t be the first time that a McFarland publication mixed truly useful raw research with padding of doubtful worth. Nor would it be the first time that the result seems to fall between two stools – too expensive for the fan market, and too sloppy for academia. One wonders how it is going to compare next spring with Wu Weihua’s Chinese Animation, Creative Industries and Digital Culture, listed as forthcoming from Routledge (albeit for an even steeper cover price of £99). Commendably, Giesen delves beneath the broadcast and feature animation to look at the potential from the world of student shorts, noting that these young talents are sure to be the movers and shakers of the future. But even here his grasp seems superficial. 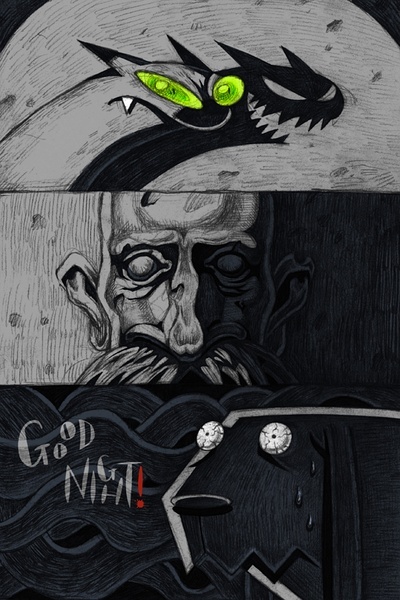 His entry on Good Night! (2012), for example, offers a vague taster of its plot, and the fact that it was made at the Xi’an Academy of Fine Arts. But he omits the director’s name (Tan Mian), and has nothing to say about the scabrous, Kricfalusi-esque art style of the film’s gifted designer Wang Xue’er (also unnamed). Nor does he place the film in its historical context – Good Night! was an acclaimed, grotesque, provocatively adult tale of two pets fighting over their owner’s corpse, which has since inspired many imitations among Chinese animation students. The impression given is that Giesen has neither seen the film nor bothered to search beyond what was presumably scraped up from a festival catalogue – the missing details can be found in mere seconds online. Perhaps the uneven quality of Giesen’s work is indeed a reflection of Chinese animation itself. While there are many shows that are new to me in his long filmography, hardly any of them sounds interesting – nor do I think his writing is to blame. There are multiple anime rip-offs and pap for the kids, but little that makes me want to rush to the internet and look for a clip on Youku. Most of the titles sound dull and the characters cardboard, possibly as a result of that same paucity of creativity that Giesen notes the producers struggling to deal with in his introduction. Perhaps even he is somewhat half-hearted about the subject, undertaking this account as a good-natured favour to industry colleagues, attempting to get a conversation going about a medium that nobody is really taking seriously yet. He quotes ANN’s Justin Sevakis on this very issue, pointing out that the putsches of the Cultural Revolution essentially ruined the talents and potential of the pre-1970s cartoon business in China, forcing it to reset to zero. Despite the lofty claims for 90 years of animation history, the Chinese industry is, in a sense, really only a couple of decades old. Maybe nobody really cares, and we should praise Giesen for bothering to care even just a little. But Chinese animation is a topic that the industry ignores at its peril. Remember what happened with animation from Japan: it was all a big joke, until the day that it wasn’t.